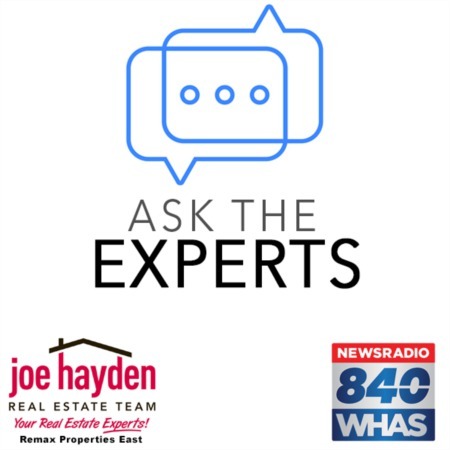 Tips for Preparing Your Louisville Home to Sell | Joe Hayden Real Estate Team - Your Real Estate Experts! Are you ready to list your Louisville home? Maybe you've already picked an agent, reviewed all the papers, and decided when to go to market. What about your house - is it ready to sell? If your house isn't properly staged, then it may not sell quickly. In order to make sure that your house is fully market-ready, follow this step-by-step guide of what you need to do. You might keep your house very clean, but if you want to sell it, you will need to make it cleaner than it has ever been before. A dirty house will give buyers the wrong impression about its value. If you don't have time to clean yourself, it might even be worth hiring a professional cleaning company do make sure the job is done right. Just remember to keep it clean after the initial scrub is done, or have your cleaners come by regularly to prepare the house for each showing. Even though you still live there, for all intents and purposes, when you are selling a house, it's no longer yours. This is because potential buyers don't want to see a home that looks like it belongs to someone else; they want a home that they can picture themselves in. The first step is for you is to try remove any personal attachment to your house from your mindset. This will make it easier for you to de-personalize the space. The next step is to put away any personal items like photos, memorabilia, and heirlooms that could be distracting to a potential buyer. This will allow buyers to picture their own items in your house, rather than your items. In order to properly show off the size of your home, you will want to remove as much clutter as possible. This will open up the rooms in your house and give the place a welcoming feel for potential buyers. Think of this activity as an opportunity to get rid of the items that you don't need before you move, so you don’t have to do it while trying to unpack in your new home. If you have items that you just can't bear to part with, one option is to rent a storage locker, which will allow you to keep your valuable or sentimental items - but keep them out of the way for showings. Even if you're not planning on renovating, or if you've recently done upgrades to your home, there are still a number of basic things you can check on to make sure your house is in tip-top shape. The most basic repair, like fixing a closet door so it closes properly, can make a big difference for a potential buyer. If all of the little things in your house work well, then the common assumption will be that the big things will work well too. Once you've completed this checklist, refer back to it regularly to make sure everything is still in order. It might be a good idea to make a detailed checklist of your own, so you know what to look for before each showing. If you keep on top of these items, your house will make a big impact on anyone who walks through its doors.